We do have a right to second guess the cops... Jesus some of you guys should move to North Korea, you'd love it. I think it's hilarious when people say "how can you not like Dungey?" Tomac could hit Dungeys killswitch on the starting gate and Dungey would thank him after the race. 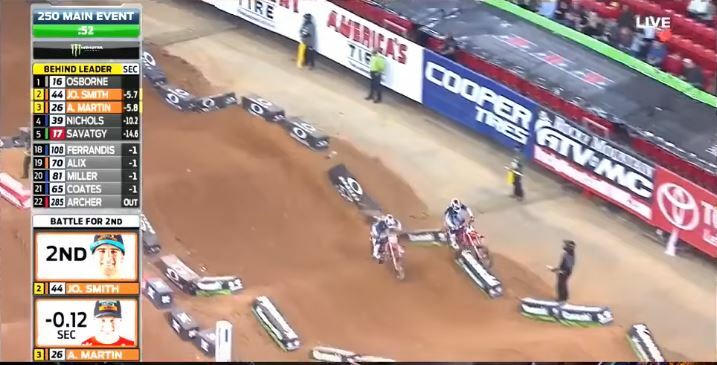 Tomac got fricked by lappers in the sand/endurocross section, would have passed Dungey if it weren't for that. Zach's segment in Moto 4 The Movie is the sickest thing I've ever seen. Finally won at Budds Creek last summer, now leading the 250 East points chase. Pretty impressive after he struggled to stay on the podium for 10 years. Osborne won't be denied tonight. Hate to say it, but Weimar should just hang it up at this point. Kind sad to see him going through the LCQ every week. Wow, as dumb as it sounds, I was really hoping for him to make a comeback. Oh well, gonna finally let go of that now. Dungey winded after his heat race, not good. Marvin trying every line he can think of haha. Seems kind of out there, still hasn't finished a whole season healthy in the 250 class. 21st fastest so far. Might make the main! Izzi has the 21st fastest time in the 250 class right now, might make the main! I actually enjoy it given where it came from and how long it has been around.